Bibliophiles rejoice – your love for style and curling up with a good book have joined forces. Some of us love a turning a page as much, if not more, as playing dress up. 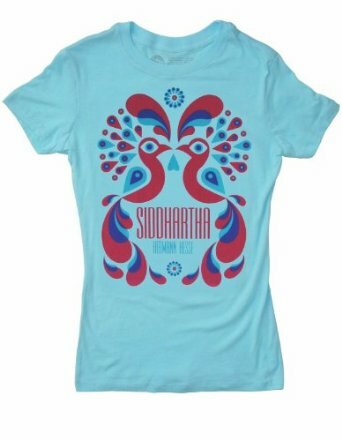 Out of Print Clothing is the out-of-this-world library of fashions you are going devour. Clever clothing, dainty jewelry, and social good are a few of my favorite things. I, of course, was beyond ecstatic when I stumbled upon Out of Print Clothing, a brand whose pieces revolve around iconic and often out of print literature. The company works closely with artists, authors, and publishers to make this awesome anomaly real. The best part? While you celebrate your love of literature, you’re spreading your passion to others who lack the resources you do. Get this straight: every product sold = one book donated to a community in need with Books for Africa. “I have always thirsted for knowledge, I have always been full of questions.” Siddhartha was on a personal mission, as we all are. 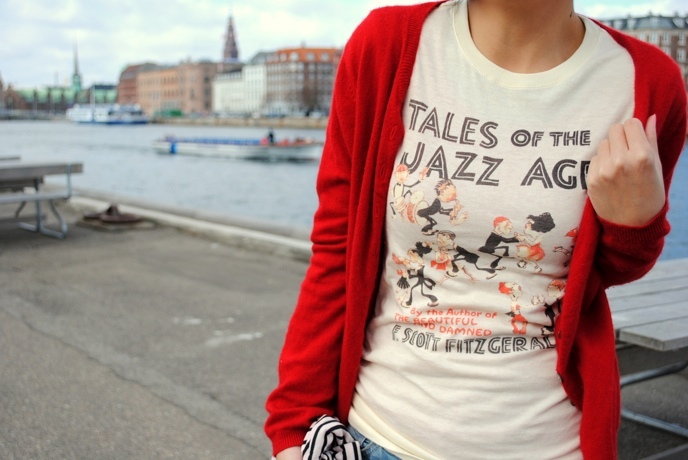 One of my favorite high school authors was Herman Hesse, so I instantly admired this shirt. The minimalist, modern design made me love it even more. 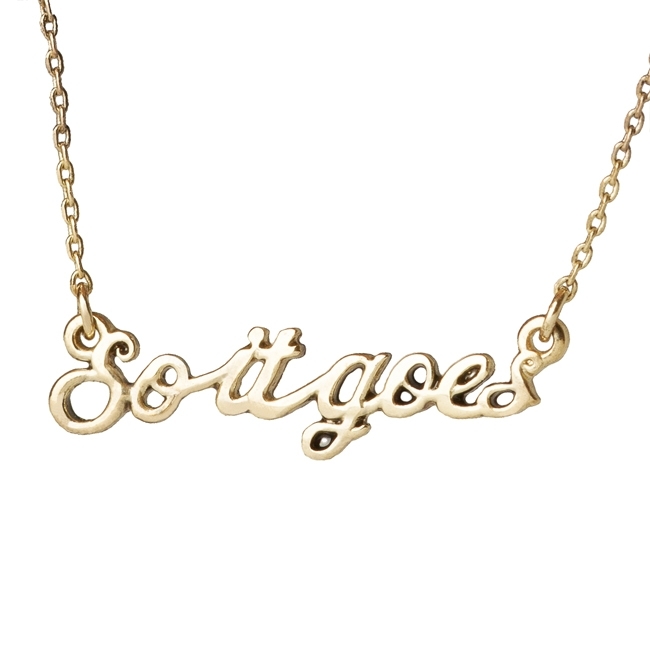 “So it goes” Necklace, $30. 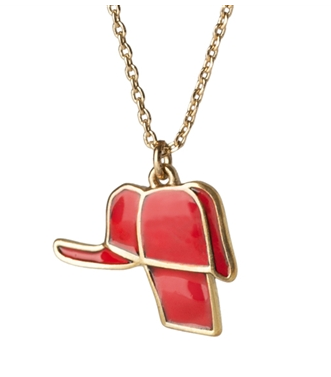 Wear Holden Cauffield’s famous red hat or rep the aliens of Tralmalfadore; the jewelry is the subtle mark of a voracious reader. While some pieces are understated, others are a solid conversation starter for fellow bookworms. 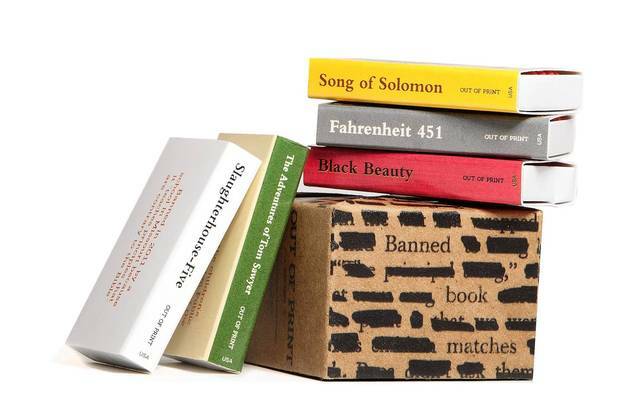 An obvious “just because” addition to your purse, the banned book match set features restricted favorites, such as Slaughterhouse-Five, The Adventures of Tom Sawyer, Black Beauty, Fahrenheit 451 and Song of Solomon. The famous Farenheit 451 credo takes a literal form with these stellar matches – just keep them away from books, please. 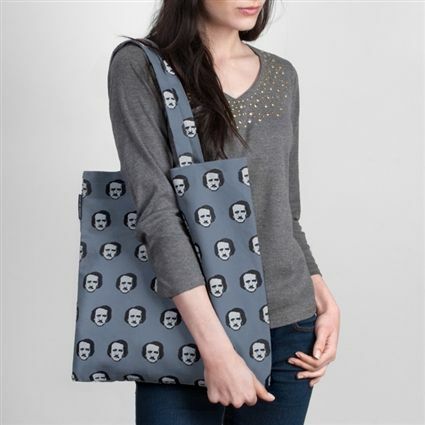 Out of Print Poe-Ka Dot Tote Bag, $18. How could you go wrong with polka-dots fashioned out of Edgar Allen Poe’s head? You just can’t. What book would you want to see on Out of Print? Let me know your favorites in the comments below!